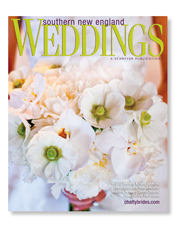 The designs of Dana Markos Events are now appearing in the new issue for 2010 of Southern New England Weddings. From beautiful tablescapes at the Museum of Science, the Martha Stewart Weddings event at Bloomingdale's and a featured wedding at the Mandarin Oriental in Boston with our beautiful bride Andrea Lang, we couldn't be more pleased with four appearances in this one issue!! SNEW was great to work with and the issue is gorgeous!! Be sure to check it out...on newstands NOW! !